What would you write in a letter to a loved one if you knew it would be the last? 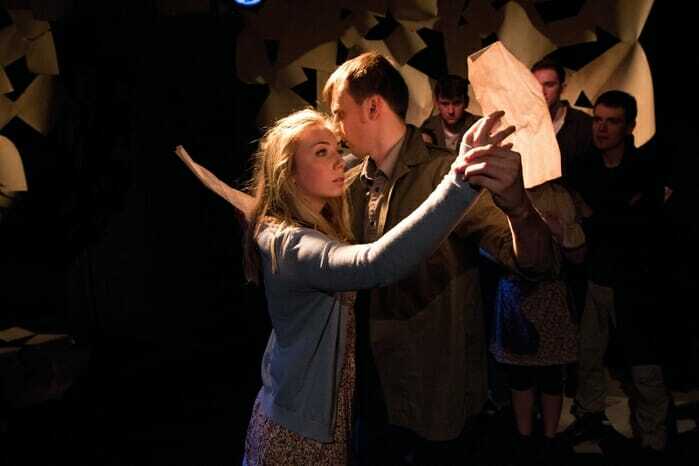 One Last Thing (For Now) from Althea Theatre, and playing at the Old Red Lion Theatre, explores this concept in a series of vignettes which intertwine music, movement and passionate story telling with a truly international flavour. 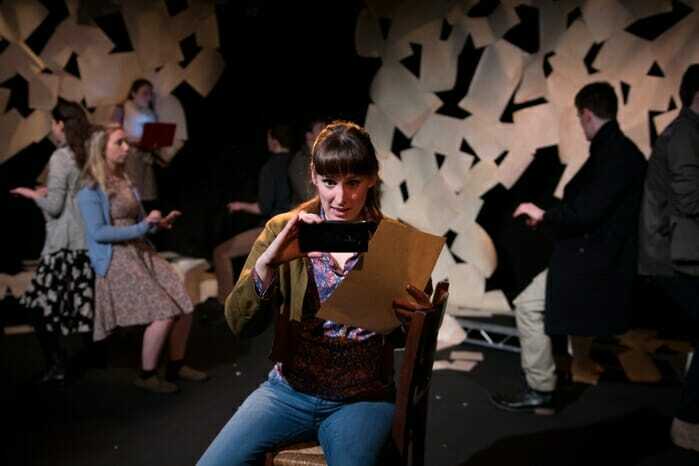 Set to a backdrop of strewn papers, these stories have been inspired by love letters which were written during war time. 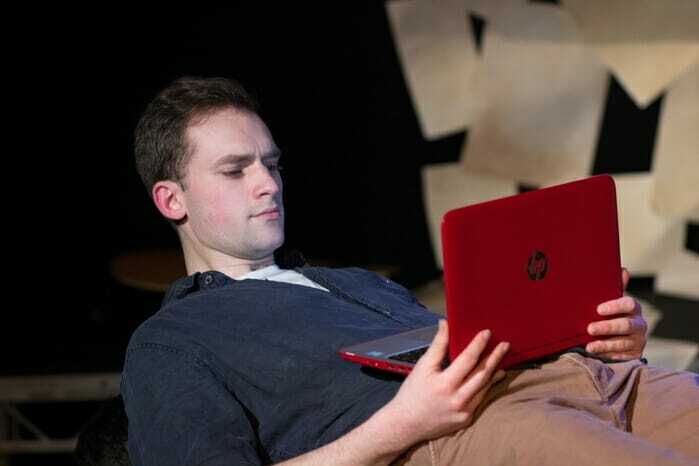 The play cleverly recognises that in modern times, letters have been replaced with Skype calls, emails and text messages, but regardless the messages are just as poignant. Like letters themselves, the stories are told in fragments, jumping back and forth as a message is received or an email is sent. This makes for arresting viewing as we wait patiently, just as the receiver would have done, for the next instalment of that particular tale. It’s very clever writing from Lilac Yosiphon, with collaboration from the cast. 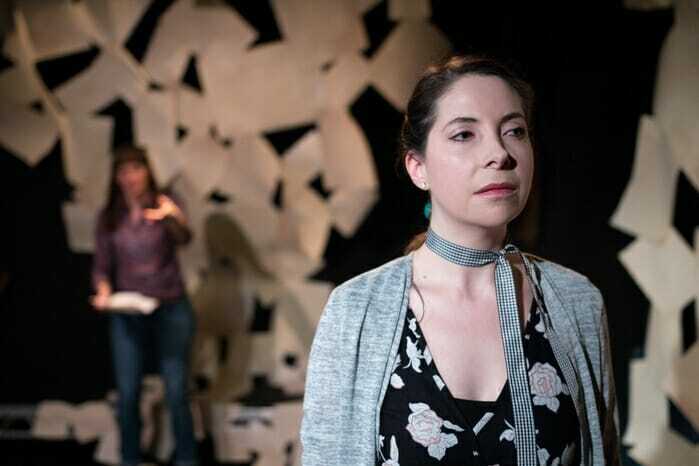 An energetic ensemble pick up various roles; from an American soldier, an Israeli teacher, an asylum seeker and a Russian who must tell wives their husbands are dead. Each story adds a new dimension of love. The talented cast often speak in different languages, but nothing is lost in translation as the physical and emotional take over. Music also plays an important part, some of it played live by Thomas Wingfield and Sam Elwin, overall, it’s inspiring and uplifting and helps to bring these stories alive. It’s clear great care has gone in to the staging and the movements of the ensemble is striking. When one couple are speaking over the internet, it’s for real, you can see the face on the screen and hear the voice from the speakers, and it’s this level of detail that makes it particularly endearing. 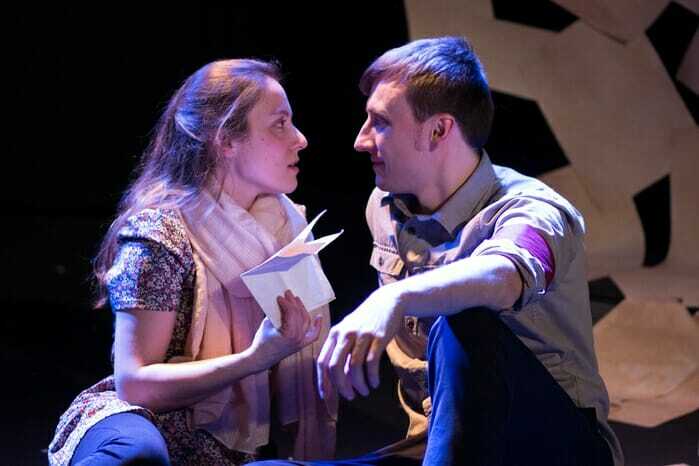 One Last Thing (For Now) is a beautiful tapestry of love stories, which proves that neither time, language nor borders can distract from true passion, and the passion of the cast is in overflowing abundance for this timeless piece of theatre. 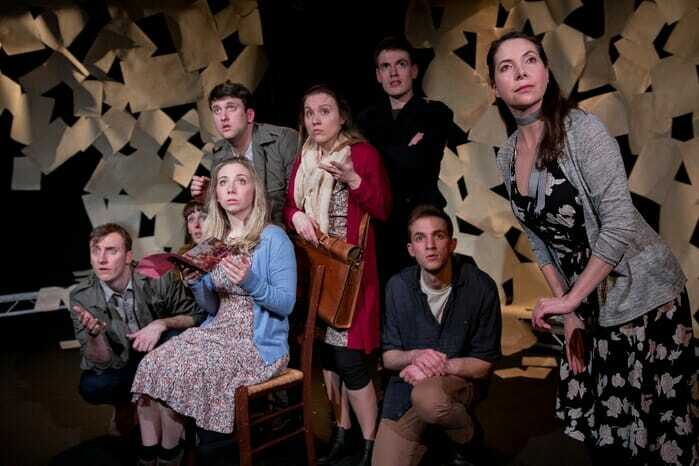 The ensemble cast is comprised of: Josephine Arden, Sam Elwin, Carolina Herran, Cole Michaels, Katerina Ntroudi, Tom Shah, Elizabeth Stretton and Thomas Wingfield.